It doesn’t matter what product you are buying; there will always be good and bad brands. Here at Trampoline Gurus our goal is to help you find the best trampoline for you and your family. In today’s post, we review the best trampoline brands for 2016. We are huge fans of the Skywalker trampoline brand. Not only is it our favorite trampoline brand, their 15′ round model is our, “best backyard trampoline“. The Skywalker brand has a ton of different options to fit your family’s needs. The Skywalker brand does not only build large backyard trampolines as it competes in the toddler and kid trampoline market. With regards to their backyard trampolines, you will surely be able to find the right trampoline you are looking for. If your kids are younger, then you consider their 8 foot round trampoline. They also offer 10, 12, and 15 foot round version trampolines. Their largest trampoline comes in an oval shape and measures 17 feet in diameter. Looking for a square or rectangle trampoline? Well, the Skywalker has you covered. The different size and shapes are one of the biggest reasons why we love them so much. Simply put, the Skywalker brand delivers an amazing trampoline product for a fair price. While we love the concept of the SpringFree trampolines, they are too expensive for our budget. Depending on the size and shape you pick, a Skywalker trampoline will cost you between $400-$800. That’s a fair price for a trampoline lasts for years with most families; it’s a great investment. The Skywalker puts a focus on building a high-quality trampoline. The frame is made with heavy gauge galvanized rust resistant steel. Any Skywalker trampoline you choose will make a great investment for you family. There is no other trampoline brand on Amazon that comes even close to the sanctification and volume of happy customers. Their 15 foot round trampoline (just one of their many products) receives a 4.6 rating with over 800 reviews. That’s hard to beat. Their other trampoline product lines also receive a high volume of positive reviews and safely confirms this is, “the brand to beat”. No other trampoline comes to the reputation of Skywalker. It’s a testament to their company as they only started in 2004! As the company name suggests, the SpringFree brand trampolines do not have any springs. The company is just over ten years, but don’t let its age fool you. SpringFree was created by a father that wanted their kid to have a safer trampolining experience. After researching the SpringFree, we are confident it’s the safest trampoline brand on the market. Each year, there are numerous injuries caused from trampolining. Jumping on a trampoline with always come with the risk of injury, but the SpringFree sought to reduce it. Their concept is that the jumper will no longer have the risk of landing on the spring area (also safer if you attempt trampoline tricks). The gap between the trampoline ring and jumping pad is a recipe for serious injury. I can still remember moments from my youth where my friends I landed awkwardly. Believe me, it’s painful. It only takes one bad landing. It’s awesome to watch a company try to change an industry that has been the same for decades. Many thought the trampoline industry was stagnant, but SpringFree continues to up their game as more parents make trampoline safety their highest concern. Aside from safety considerations, SpringFree strives to use high-quality material for all parts of their trampolines. Their frame is one of the most durable on the market. The company wants their customers to get a trampolining experience that they can’t find anyone else. Some SpringFree trampolines come with a basketball hoop. Jumping on a trampoline is always fun, but the basketball hoop is a fun addition that will have your kids raving (and the neighbors!). The SpringFree brand is world-class. After many reading customers reviews, it is clear they take their customer service very seriously. If you’re going to invest in a premium trampoline, then it’s imperative you are treated fabulously. If you go the SpringFree route, you will be treated well if any questions or concerns arise. There’s no point in hiding SpringFree’s one major flaw: Price. There’s no way around it. The SpringFree trampolines are innovative and safe, but it comes with a large price tag. While most Skywalker trampolines sell for around $400-$800, you can expect to pay around $2000 for a SpringFree trampoline. Their largest trampolines sell for closer to $2500. The SpringFree is simply the best trampoline that money can buy. You’re investing in a product that will keep your kids safe for years to come. There are two other brands that we highly recommend, but they only make trampolines in the adult fitness space. We didn’t include them in the main section of this page as we assume most visitors are looking for backyard trampoline brands. Read more about these brands on our adult trampoline fitness page. To be honest, we were unable to find another backyard brand worth raving about. We still like a lot of other trampoline brands, but enough to say we “love” them. 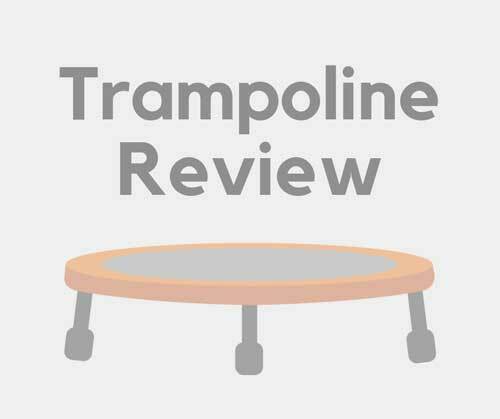 Trampoline Gurus reviews other trampolines. While we don’t review every single product from the other brands, you will be able to get a fair representation of our opinion. If you’re still curious about other trampoline brands, then please leave us a comment below.